Offers integrated Strategy, Experience Design, Engineering, Audience Management and Analytics services to leading multinational B2B and B2C companies. 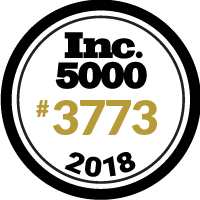 @HS2Solutions is proud to be on the @Inc5000 list 2018! What an honor to be included among such innovative, growing companies!